This past week has been heartbreaking as the hurricane hit Houston and the surrounding areas. So much loss and devastation for so many. Last time I talked about our nation needing prayer. Tomorrow has been declared a day of prayer. For those who can’t volunteer or give money, as I said before we can pray. My hope has been renewed by some of the stories I have heard. In addition of so many people taking their boats to the area to help or helping others by making human chains to cross the waters, the story of the athletes collecting money was amazing. If you haven’t read about J.J. Watt’s fundraiser YouCaring.com , you need to do it. It will fill you with hope. The other agencies helping are too many to list. That fact makes me happy. Many stories show the goodness of people. I am glad they put their differences aside. No political parties, no holding grudges, just people helping people in need. That’s what God wanted us to do. These pictures bring back memories of what happened to our community in the flood of 1972. I didn’t lose my home, but the water in the creek behind our mobile home almost overflowed. Our business was hit hard because it was in downtown Elmira. The city did rebuild. The memories don’t go away and I feel for the people in Houston. I do know. Tomorrow is a day of prayer for them. I will be praying that the help will continue to pour in for as long as it takes and everyone who needs it will receive it in a timely manner. Our Pastor gave a sermon on forgiveness and letting go recently. Of course, he was talking about national problems and historical events where the wounds have never healed and bitterness grows. Why do people keep those old wounds alive? Why is the focus so much on what is wrong in this world and not how to make it better. I hurt for all those who have lost loved ones because someone felt wounded and lashed out. The pictures of the damage from the hurricane remind me of all the help that is needed. People have lost everything. Let’s focus on them instead and stand together as a nation. The Bible is full of struggles of power and the violence used to gain that power. Today we still have groups using evil means to gain power. My heart cries out to people whose lives are impacted by this. All those people forced to leave their homes and live in another country. Europe is full of people who had to leave their country. How do they let go of the pain if Jesus is not in their life? My life has not been struggle free but learning to let go actually set me free. It didn’t happen overnight and I needed to turn it over to God. Ironically, after coming home from hearing the sermon I had to practice what I heard. It wasn’t easy to let go of harsh words, but bitterness would settle in if I didn’t. How about you? Is there something you need to let go of? Our nation has turned to so much violence and protests. Each time I see a protest, I am reminded of the story of Ruby Bridges. If you have not seen the movie o r read the book, a lot can be learned from Ruby’s experience as a 1st grader integrating into an all white school in the south. Despite the fact that she was a child, she was treated unfairly and cruelly by adults. Each day as she was escorted by the United States Marshals through the hostile crowd outside her school, she stopped to pray for them. Her faith was inspiring and she was more forgiving than the adults living during that difficult time. For those that are retired, spend time each day praying for our country and for revival. Pray for people who are in that awful storm and have lost so much. Pray for our leaders. One of my favorite apps is IF 7:14. Each day it gives you two quick prayers for our country and for revival. You get alerts to help you remember to pray. You can even add your own prayer. Prayer is the only answer if we really want change. Last time I posted about sowing seeds like Jesus did. Since then I have seriously looked for opportunities. I’ll admit, it isn’t easy. Living in a small community doesn’t give me much opportunity especially because I don’t work anymore. I spend most of my time home doing my writing. My early days as a Christian had me thinking I needed to go to a risky part of the community and evangelize. Although they do need Jesus desperately, walking up to them wouldn’t be the safest thing to do. I also don’t think that is the best way to plant seeds. Right now I am people watching. My years of studying have taught me that all people have some kind of brokenness. We don’t always like to admit it, but we all do. The voids in our lives are meant to be there. God intended to fill the void through relationship with him. Still think there are no places to sow seeds? Look around you. People are hurting everywhere. We just walk past them in our busyness. If everyone reached out to just one person, it would make a difference. In Andy Andrews book called The FINAL SUMMIT the world is in a terrible mess. Sounds all too familiar. This book was fun to read, but it has the same message as the Bible. We each have the ability and responsibility to do something. We can’t do it alone, but things are not going to change until we all start doing something. Michael Jackson had the right idea back in the 80’s. First he started a movement to help with famine when he got a group of artists together to sin We Are The World. We are God’s children who can make a difference by our choice to do something. Have you started yet? Maybe there is some group out there you can join where you can have more of an opportunity to “do something.” You’ll never know how many lives can be changed by touching one life. I know as a Compassion partner, when I sponsor a child in another country it also helps his whole family and community. They also bring the gospel to them. I love writing my child letters about my own faith. So many ways to help. This world needs more love and they need Jesus more than ever! Now that I am retired, I am able to read and study the Bible more than ever. I love that but I am always looking for the opportunity to talk about my faith with those I encounter. This broken world really needs more of our Savior’s message of hope and love. Our pastor reminded me that I need to reach out more with the message of the gospel. He preached on the parable of the sower and although it is very familiar passage, his perspective was not. The focus of the message was not on the seed but on the sower. Jesus gave his message to anyone who wanted to listen anywhere. The message was received by some and it changed them, others believed for a while and the message didn’t take root. That didn’t stop him from reaching out and sowing the message to everyone he came in contact with. We are also called be sowers of the seeds of the gospel. Most of the time I focused on just trying to be an example through my actions and life. The thought of sowing the seed has me really thinking differently. It doesn’t mean that I should be complacent and do it at church either. It is easy to speak to fellow Christians about Jesus. We don’t know how long our life will be and can’t wait for a convenient time to do what the Bible tells us to do. We can’t control what kind of soil the message of love and our Savior lands on, but that shouldn’t stop us from continually sowing. We have to go outside the church to do this. The point is to keep sowing and let the Holy Spirit do the rest. Studying 2 Timothy with Beth Moore (Entrusted) has had me looking at the times we are in. The Bible talks about the signs of the end times. We have a very self-absorbed and troubled society desperately in need of our Savior and his message. People turn to all kinds of addictive things trying to fill the void that only Jesus can fill. My plan is to get sowing those seeds and to look for more opportunities to spread the gospel to others. How about you? All Christians have been called to do to followers of the great teacher. Lives depend on you. You will never know the impact of how sowing just one seed can reach out to many others. I remember a movie called Pay it Forward. The premise was that if someone did you a big favor, you pay it forward to three more. Didn’t Jesus do us the BIGGEST favor anyone could do when he died for our sins so we could be restored to our relationship with God? Pass it on! Sow those seeds! We just celebrated another Fourth of July and I wonder if people really understand how lucky we are. I have been watching a TV drama series called TURN which is based on a book. I have done some research and there really was a spy ring and the events in the series are based on facts. The patriots struggled and suffered to gain our independence so we could have the freedom we have today. It was a violent war and our soldiers did not have the resources the British had, but they were fighting for freedom. I am grateful our founding fathers had to courage to stand up for the freedom we take for granted. Recently there have been many programs on the radio talking about some of the gentleman that helped write the Declaration of Independence. We only know a few of them and neglect some key figures. That document was written by many men who had a deep faith and believed in the acceptance of differing religious beliefs. Today our country seems to be shifting away from the freedoms fought for those many years ago. Sometimes it feels like being a Christian is not something valued anymore. My rights as a Christian are challenged daily. TV programming today lack controls on what they show. Flipping through the channels I have a hard time finding something to watch. The family channels aren’t what I consider suitable for children. Violence, language and lifestyle choices reveal a world that young children shouldn’t constantly see. Even our churches fight over differing views. Though the fighting is not physical, it can be hurtful. Leaders in churches have their own share of moral decay. I have seen many blogs tearing down other Christian leaders and I wonder how this all started. The time spent on telling what Christian leaders are false teachers is alarming. What can be achieved by that? Have we lost our moral compass? There is a hurting world in our own backyards. I wish more people would come together to help those in need, forgetting our differences. Families are in crisis. Children are hungry. Cities have so much violence and racial tension. Did you know 7% of our population have some kind of substance abuse problem? Young people are committing suicides daily. This is alarming. Let’s go back to those values that countless Americans fought for and even lost their lives over. We still have many dedicated servicemen today defending our freedom. We are still a great country worth fighting for so our children have a future and an abundant life. America needs to make a u-turn and fight for families and values. 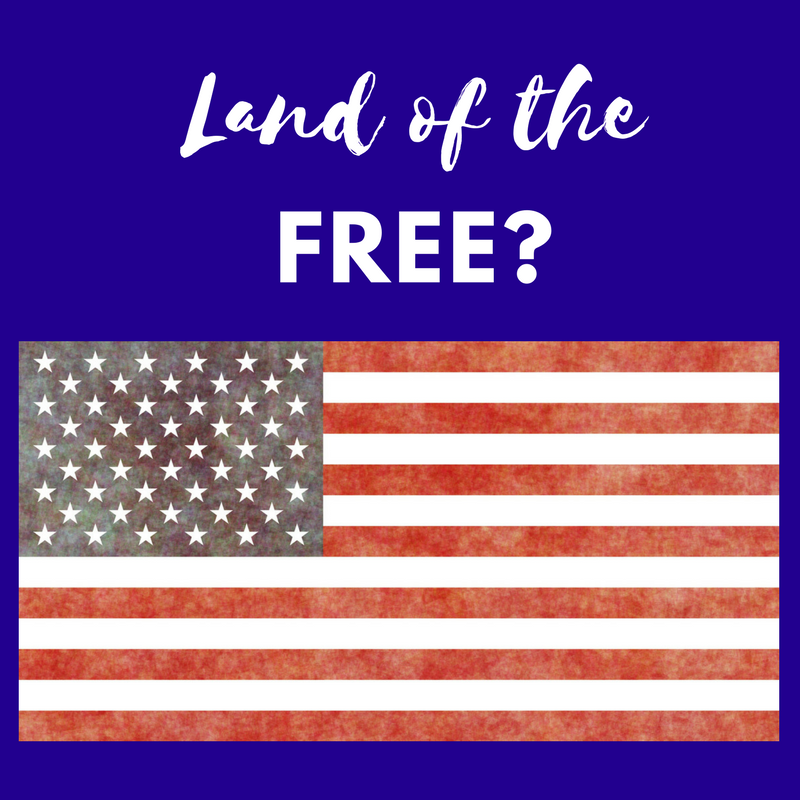 Our independence didn’t mean freedom from God. Our founding fathers knew that. Look around our capital and our money. The words “in God we trust” were put there for a reason. Just listen to his voice because we need his help to do this. He will lead you to agencies needing assistance. If everyone volunteered in some area change will come. Lastly, we need to continue to pray for this great country. The Bible does say if humble ourselves, change our ways, seek him and pray he will forgive and heal this land. There is even an app for your phone called If 7:14 which will remind you to pray for our country each day. Other countries are doing this, too. I want a great future for my grand kids. Let’s all step up in some way. Recently I had the pleasure of seeing Christine Caine on TBN. She is so full of energy all the time and so in love with the Lord. Her message really hit me and I can’t let go of it. As she retold the story of Moses, Pharaoh and the ten plagues God sent, she focused one in particular – when God sent the frogs. Frogs were everywhere including their homes. It is hard to imagine a situation like that. The people of Egypt were not happy and Pharaoh summoned Moses. He begged Moses to get rid of the frogs. The surprising fact is Moses let Pharaoh specify the time he wanted God to do it. His answer – tomorrow. Picture your own home full of frogs and as the Bible stressed, even their beds. That would be so gross. I would want them gone immediately. Wouldn’t you? Christine’s point has really made me think about my life. How many times do we want to do something and say tomorrow. Tomorrow I’ll start exercising, tomorrow I’ll spend time with my wife, tomorrow I’ll start my diet, tomorrow I’ll go to church, tomorrow I’ll spend time reading the Bible and praying. The list could go on and on. As I stated when I started the blog, I am in the probably the last stage of my life. My goal has been spend my time productively and with purpose. I admit I have more aches and pains than when I was younger. My doctor keeps telling me to “listen to your body” and avoid certain yoga poses. Being limited doesn’t appeal to me, but I have learned she is right. That does mean I choose to sit idly. I am very active. I am proud to say I am in the final stages of publishing my book. The process is not an easy one, but I am doing it for God’s glory. The story in me is now in print. No more waiting for tomorrow. What about things you are putting off? Each day the news is filled with tragic stories of lives lost before they got to live out their tomorrows. God gave us life so we could live it abundantly. Easter is a perfect time to remind ourselves how God loved us so much he sent his son to die for our sins. So if you are putting off spending time with God, don’t wait until tomorrow. He is the best friend you will ever have and he wants to have a relationship with you. Put your trust in him and he will take you on journey that will bring new life to you. He’s just waiting for you to call on him. This year has been challenging so far. I haven’t written much on this blog due to many difficult situations in my life and the lives of others. Sometimes life isn’t fair and these traumatic events are a reminder how precious life and time is. Do you give of yourself or lend a hand when others are suffering? A former teaching colleague of mine died from ALS at the age of fifty-one after an eighteen month battle. She wasn’t ready to retire, her family wasn’t ready to lose her, and no one understands why things like this happen. She was a beautiful person with a beautiful life ahead. Despite what was happening to her body, she remained an inspiration to others and she was the one encouraging them. She kept her sense of humor and dignity as her body failed and leaves that legacy behind. What legacy are you leaving behind? Several people I know have lost parents in recent months. Their ailments were a reminder to me of my own aging process. I do my best to stay healthy, but I have noticed I no longer can do certain things although I am still very active. I am doing this for my family, too. Are you taking care of yourself? My sister just lost her husband unexpectedly. Even though they had a will, the thought of one of them dying while on vacation was not something they prepared for or thought could happen. There are so many things to consider and take care of when someone dies. Does your family know what your wishes are? Do you have a will? Do you have a health proxy? Grieving is a process and takes time. People who are grieving need a support system and it takes time to work through loss. There is not a set amount of time in the process either. One person told me that one of their acquaintances thought a month was enough time. There is always going to be a void where that person filled a life. Can you help someone work through their grief? Most importantly, are you ready for the end of your life? Have you made a commitment to Jesus our Savior? Does your life reflect the fact that you are Christian? Are you a good steward of your time? I recently did a powerful Bible study called The Broken Way by Ann Voskamp. She shares how we all are broken and by sharing our brokenness we are helping others who are also broken. We were meant to share it, not hide it and pretend we have life under control at all times. Jesus had his body broken for us. Helping might mean giving up some of your time or maybe it can be the smallest kind gesture during the day – like a smile. Annoften shares a calendar on her Facebook page that has great ideas. This sharing might also be inconvenient. Showing up and listening when it means giving up coffee with friends, going to the gym, shopping or reading that book. Part of the study talked about giving in places that we don’t feel comfortable in. The world is a hurting world and Christ called us to share with those people who are not able to give back. He used the example of inviting people to dinner who will never invite you back because they can’t. This is what being a Christian is all about. I encourage you to read her book or do her study. You won’t be disappointed. It is never too late to change your legacy. There is a hurting world out there that needs hope. Be the light you were meant to be. Be ready to help where you are needed. As the new year began I looked forward to the many blessings of God ahead. A friend of mine gave me a Blessing Jar which sits on my kitchen counter with tags to fill out each day. When I saw her jar I loved the idea and couldn’t wait to start. Each day I am supposed to put a slip of paper in with something or someone I am grateful for that day. After only two days I learned a good friend died suddenly. The days since his death have been filled with emotion and it has been hard to find blessings when you grieve. Reading God’s word reminded me he has plans for each person’s life and it is not my place to question. It is a blessing to even experience emotion. It is part of being alive. At the funeral home there was a huge outpouring of love and many testimonies about my friend. He left a legacy of love and kindness that will not soon be forgotten. His friendship of twenty-eight years is now on a slip of paper in my blessing jar. I will put a new one in my jar every year when I remember him. Each day the news is filled with shootings and tragedy. I know God is still there and I have a lot to be grateful for even when life isn’t perfect. So do we all! Winter can be a gloomy time of year. Christmas is gone and sometimes the cold weather gets old. The trees look dead, but in just a few months we will begin to see the daffodils come up. A blessing jar can be a great reminder of how much we take for granted. Not just things, but people we have in our lives. I am so grateful that my friend gave me my jar. It is a visible reminder of the love of my father in heaven. I want to leave a legacy that will be remembered, too. Another year is coming to a close and I can’t believe how quickly it has passed. Seems like just yesterday that I was looking ahead to all I wanted to try in 2016. I can honestly say my year has been productive and full. I have not written on this blog for a while but not because I wasn’t writing. For the last four months I spent most days editing one of my novels. Though there are always things I could change, I am pleased to say I am finished. The editing process is harder than the creating the story, but I have learned so much about the process itself. My only frustration has been in the actual writing program itself. It won’t export in a format I can use without redoing some spacing things. When you write a 50,000 + word novel, that can take time to fix. The Christmas season is not the best time to try to do this. After a short break I’ll make another attempt. As I close out my year, I can honestly say I finished my book. It is no longer just a dream I talk about. I am self-publishing in 2017 and can’t wait to see it in print. God is good and I am grateful for his many blessings I have been given in 2016. I can’t wait to see what plans he has for me in 2017! Time seems to pass so quickly with the busyness of life. I am mindful of which activities I commit to do. The older I get – the more urgency I feel about making a difference in life. When I taught those darling little children, I knew they looked at my actions as model of how to treat others. Many of them had a home life without stability or happiness. School was sometimes the only bright spot in their life. I remember one student coming back from spring break and writing about how he hated vacations. For him, he looked forward to the stories I read, the fun things we did, and a caring person he could depend on. In my retirement, I have missed those moments when I knew I changed a life. We all have the ability to be a positive or negative influence on the lives each day. 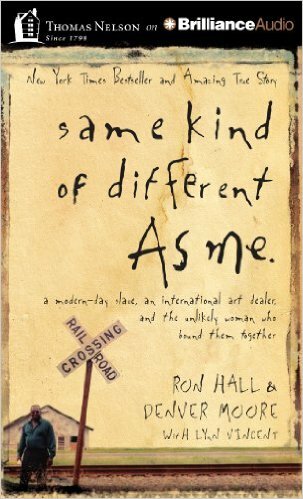 I am reading a book entitled same kind of different As me. What a true story of a Christian woman’s faith journey that had a profound effect on the lives of homeless people. She didn’t walk past them and do nothing. Through compassion and love, she changed countless lives and continues to do so after her death. Each year the holiday season begins earlier. For me, it also signals the ending of another year. What changes have you made this year? Have you thought about your legacy? Like the character in the book, you hold the key to change the lives of those less fortunate whether it be giving away a coat, paying for someone’s lay away, or simply bringing a meal to someone who is alone. Her husband’s life also changed in ways he never expected and so will yours. 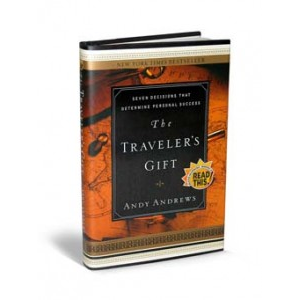 Probably one of my most favorite books has been The Traveler’s Gift by Andy Andrews. If you haven’t read it you are missing out. I have read it several times and each time came away with something new. I have led discussions with book clubs, teacher groups, youth groups, and given it as a gift countless times. Through the seven characters the traveler receives life changing messages. My favorite character was Joshua Chamberlain. He was a high-ranking Union officer in the Civil War. Against all odds at Gettysburg and with nothing but bayonets lead the charge down the hill. He made a courageous decision to take action despite the fact he did not have ammunition. His bravery and leadership helped the Union win the battle. His action was an example for others to follow. Would the United States be here if Gettysburg was not a victory? Both books give example of how two different people took actions which impacted countless lives long after their deaths. The world needs more people of action. Use your talents and take action today. Look around for places to give or ways to serve in your community. You will be glad you did!